#6 Skincare at Poundland ! How mad is this? I spotted these when stocking up on cleaning products at my local Poundland store, and had to pick them up quite simply because I wanted to find out what you actually get for your shiny One Pound Coin when it comes to skincare. As you know my blog features High End, Drugstore and everything in between when it comes to prices, and I am definately not adverse to drugstore brands, in fact some are even in my daily favourites, but a quid? seriously? OK so the packaging is pretty basic but fresh and clean looking, the fragrance isn't too bad, I mean it's not overpowering but is a little Zoflora (at least it smells clean!) The formula's absorb easily, do not leave you greasy and yes they actually leave your skin feeling pretty flipping good for the money. In terms of serious skincare benefits I'm not sure these will deliver much in the way of repairing results, as although packed with a huge amount of good ingredients the quantities are fairly low down on the product list, always an indicator, I personally always look for the top 3 or 4 or the list. As you would expect the higher the quantity of ingredient the more expensive the product will be, or not in the case of Boots and Superdrug own brands, these are always the ones that can bring surprises in terms of quality, even Aldi are up there with ingredients. All that said, I can't help but praise this own brand from Poundland I have no clue why it is named #6, maybe they will bring out an explanation at some point. 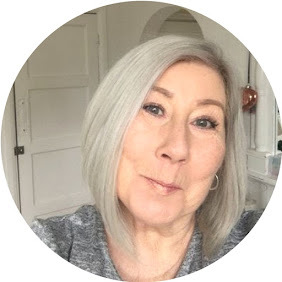 Even though I am fortunate enough nowadays to try out some fabulous products I do still remember being so incredibly skint that finding skincare for a pound would have caused me huge joy, especially if I had discovered that Pound down the back of the sofa! Just tried their night cream and cannot believe how good it is - rivals Aveeno any day and we all know how expensive that stuff is. Looking forward to trying out the rest of the range.